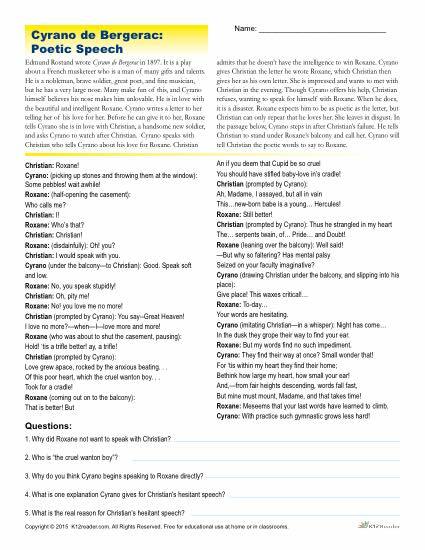 Practice reading comprehension with this fun “Cyrano de Bergerac: Poetic Speech” worksheet. Students will read the passage provided in the activity and answer a series of questions about the excerpt using context clues. This worksheet is ideal for grades 9-12.